Last week, the BBC announced that it would be cutting back on its evening schedule as part of a cost-saving exercise, with Late Junction reduced to one programme a week, both Jazz Now and Geoffrey Smith's Jazz are being 'rested', and Music Planet, devoted to music from across the globe, cut by half. tQ co-ed Luke Turner wrote about why this is a disaster for experimental music for The Guardian here and Richard Foster explored how the decision is a failure of public broadcasting here. Words work best with numbers behind them however, and over the weekend composer Mira Calix and writers Jude Rogers and Joe Muggs, with assistance from Luke, put together an open letter to the BBC asking them to rethink this short-sighted decision. The letter, signed by hundreds of artists, musicians, curators, music industry honchos, actors, and more, can be read with full signatures below. If you would like to help the campaign, please share this article on social media tagging @BBCradio3, or leave a comment about the changes on this BBC page here. You can also sign petitions here and here. Signatories include hugely well-known people in their fields like Shirley Collins, Jarvis Cocker, Kieran Hebden, Peaches, Cleveland Watkiss, Ed O’Brien and Phil Selway from Radiohead, Brian Eno, Colin Mathews OBE, Shabaka Hutchings, Cosey Fanni Tutti, Peter Gabriel, Nikki Yeoh, Franz Ferdinand’s Alex Kapranos, Nitin Sawnhey CBE, the Waterson-Carthy family, Goldfrapp’s Will Gregory, Issie Barrett, grime stars Scrufizzer and Grandmixxer, Mogwai’s Stuart Braithwaite, Kit Downes, Alexis Taylor from Hot Chip, Holly Herndon and Portishead’s Adrian Utley. They include hugely exciting rising stars like Gazelle Twin, Lisa O’Neill, Seckou Keita, Hannah Peel, Joshua Idehen, Alex Neilson, Lori Watson and Laura Cannell, among many others. They include managers and creative directors of national institutions like the Edinburgh Festival, Sound UK, WOMAD and the London Borough of Culture, huge venues like London’s Roundhouse, and local powerhouses like Cardigan’s Theatr Mwldan. Label bosses like Laurence Bell of Domino, and Jeannette Lee and Geoff Travis from Rough Trade (who called the decisions “a national travesty”) are also in. International pioneers like composer Laurie Spiegel and early Kraftwerk collaborator Emil Schult lent their passionate support, too. We are 559 music-lovers, musicians, artists, curators, record label owners, venue owners, festival programmers and critics writing to protest the dramatic cuts to Radio 3’s programming of specialist music. These have been made, in the words of Alan Davey in his blog about the Autumn scheduling plans, to “enhance the distinctive nature of the network”. The opposite is happening: the truly distinctive parts of the network are being dismantled. British jazz is experiencing a renaissance. Thrilling folk acts are attracting broader audiences. Electronic and experimental music is thriving, and boundaries between genres, mediums and scenes are being dissolved and swirled into ever more exciting permutations. But in the month of its sold-out festival in London, the brilliant Late Junction, which supports new and existing artists from the worlds of experimental music, folk, jazz and beyond, is being reduced from three shows a week to one. Jazz Now and Geoffrey Smith’s Jazz are being ‘rested’. Music Planet, Radio 3’s only dedicated programme exploring music from around the world, is being moved to a post-midnight slot, and having its running time cut by half. The cuts are obvious. And while we welcome the adventurous and unique format of Unclassified, it only has an hour in the schedules. It is not enough. 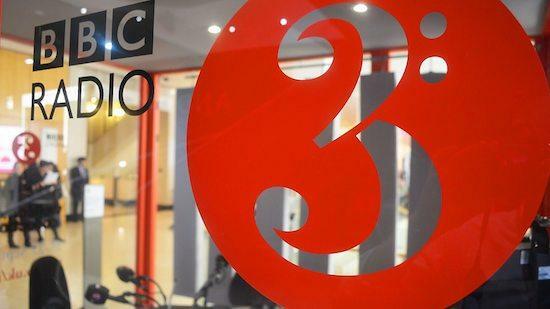 The remit of BBC Radio 3 is explicit: to appeal to listeners of any age seeking to expand their cultural horizons through engagement with the world of music and the arts. The disappearance of the programmes above – fertile, adventurous spaces showcasing the creativity and diversity of many genres – goes against the remit entirely. Our culture benefits so much from these programmes. Music-lovers tune to make new discoveries and build new creative communities. Music-makers rely on these shows as lifelines to support and share their music with enthusiastic audiences, both nationally and internationally. New works and unexpected collaborations have happened either directly or indirectly due to these shows. This flourishing cultural ecosystem will be damaged, and musicians’ careers profoundly affected, as opportunities for their work to be experienced by the mainstream at home and abroad will be drastically reduced. We urge Radio 3 to think again about how the changes they are making will profoundly affect the broader cultural landscape. The BBC’s enduring principles – to inform, educate, and entertain – live and breathe in the shows they are pulling apart. Laurence Bell - label Founder, Domino recording Co.